What is Time Synchronized Mesh Protocol (TSMP)? The Customize Windows > Computer and Internet > General > What is Time Synchronized Mesh Protocol (TSMP)? What is Time Synchronized Mesh Protocol (TSMP)? TSMP has similarities with Time-division multiplexing and now in focus due to IoT and Wireless Sensor Network. In our previously published article; we have discussed about the Protocols Related to Internet of Things (IoT) and we have mentioned about this Time Synchronized Mesh Protocol (TSMP). In this article, we will discuss about Time Synchronized Mesh Protocol in brief. Dust Networks Inc. is a company who specializes in the design and manufacture of wireless sensor networks. That company actually devolved a proprietary protocol named TSMP (Time Synchronized Mesh Protocol). Commercial products and real-world deployments of wire-less sensor networks (WSNs) are faced with harsh reliability issues, which are mainly attributed to the unreliable nature of individual wireless links. Reliability can be achieved by exploiting diversity “ connection redundancy over different link parameters. A good routing protocol provisions alternate paths which are used to circumnavigate areas of poor or inconsistent connectivity. Such path diversity can be combined with frequency diversity which exploits the fact that external interference and persistent multi path fading vary across frequency channel. The Time Synchronized Mesh Protocol (TSMP) enables reliable, low power, secure communication in a managed wireless mesh network. TSMP is a medium access and networking protocol designed for the recently ratified Wireless HART standard in industrial automation. TSMP benefits from synchronization of nodes in a multi-hop network to within a few hundred microseconds, allowing scheduling of collision-free pair-wise and broadcast communication to meet the traffic needs of all nodes while cycling through all available channels. Time Synchronized Mesh Protocol (TSMP) is included in IEEE 802.15.4 Standard. IEEE 802.15.4 is a standard which specifies the physical layer and media access control for low-rate wireless personal area networks (LR-WPANs). This Article Has Been Shared 5547 Times! Articles Related to What is Time Synchronized Mesh Protocol (TSMP)? Why there are different image formats? Various names of image formats often confuses a new computer user. We will explain about different image formats in brief. Mainframe Systems and Terminal Emulation – your computer support consultants might be talking about terminal emulation. Strong Artificial Intelligence refers to a machine capable to produce intelligent behavior, can experience self-awareness, feelings and understanding. 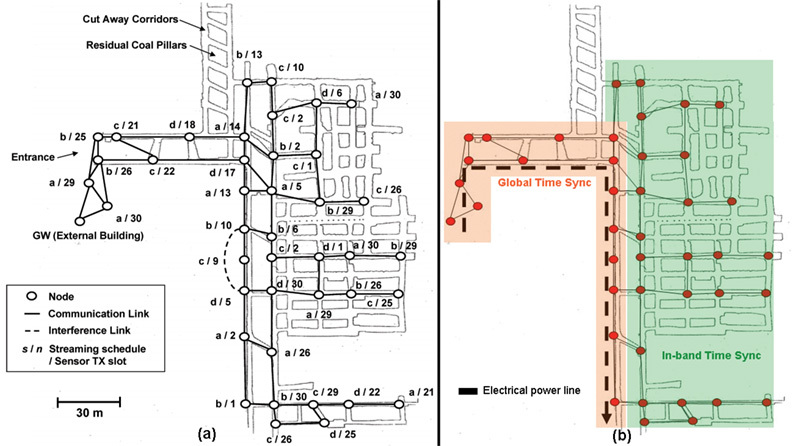 Title: What is Time Synchronized Mesh Protocol (TSMP)? Cite this article as: Abhishek Ghosh, "What is Time Synchronized Mesh Protocol (TSMP)?," in The Customize Windows, July 18, 2014, April 21, 2019, https://thecustomizewindows.com/2014/07/time-synchronized-mesh-protocol-tsmp/.